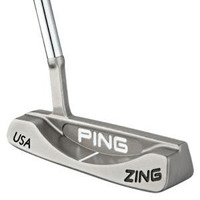 Want a Ping Golf Putter? Although others may have overtaken the Ping golf putter as the finest manufactured putters, few if any golf companies have been able to rival Ping's game changing putter designs. In fact a huge number of the putters you see being used today on the professional tours are direct copies of Ping designs. For example - Tiger Woods' favored putters during his pro career have been a Scotty Cameron and a Nike Method, right? Well, only on one level. Both of those putter is a direct copy of the Ping Anser style that is by far the most widely used design in the world, especially if you counted all the designs based on it. Odyssey Putters, Taylor Made Putters, Yes Putters, Cleveland Putters, Never Compromise Putters and many others all manufacture putters based on Ping's designs from the 1960s. Because they're so darned good! Karsten Solheim, the founder of Ping was an engineering genius who put all his knowledge and expertise into designing the most effective putters available. 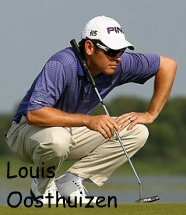 He wanted to make putters more forgiving, so everyone could get the chance to play well. His early models were revolutionary because they used heel and toe weighting, which reduce the twisting of the putter face on off-centre strikes. The old Pings (the Ping Anser, Zing and Pal) designed between the 1960s and 1990s were the company's absolute classics, used by just about all the legends of that era (Tom Watson, Seve Ballesteros, Nick Faldo etc etc.) and if you find one of these in good condition (especially if it has Scottsdale serial number stamped on the back) it will probably be highly collectible. Ping putters went a bit off course in the 1990s (in humble opinion) when they abandoned their winning formula of classic materials and shapes to experiment with soft face-inserts and way-out designs, which quite frankly Odyssey did (and still do) far better. However, the Ping Redwood putters which were launched in 2006 have taken the company back to what it does best - making seriously good putters with traditional materials which combine great feel with technology that really does increase your consistency. We were also extremely impressed with the Ping Karsten Anser - a great roll for the money. Pings make ideal used purchases - there are plenty of them about and you'll be able to find almost any model you're looking for. 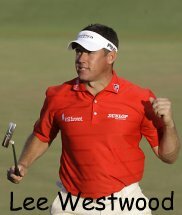 Best-putter.com's recommendations are either via Ebay (see the latest live listings above), or the Ping putters page of GlobalGolf.com and Golf Bidder (for UK & European buyers). These established retailers of used equipment charge higher prices, but also offer satisfaction guarantees and establish returns policies. Still unsure which Ping Golf putter is right for you? Click here for our guide to choosing the right putter for your stroke.